Meet Shawan Sell Your Home FAST How to Negotiate the Best Price FORECLOSURE ALERT! Welcome to the official site for Sanford, FL Vacant Lots & Land For Sale. Here you can search the Sanford MLS to find Vancant Lots, Vacant Land, Acreage, Buildable Lots, Waterfront Lots, Lakefront Lots & more! 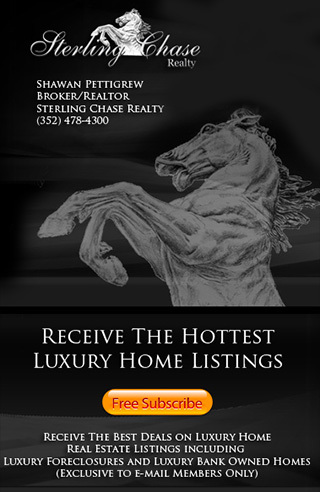 Sterling Chase Realty - Provides professional real estate broker service to Sanford, Florida 32711.